Pisang Peak (6091m) is also one of the most demanded peaks in Nepal as this trekking trail is usually combined with the trekking in Annapurna circuit trek. This peak is situated in western part of Nepal. Pisang Peak is one of the most popular adventures climbing peak in the Annapurna region. 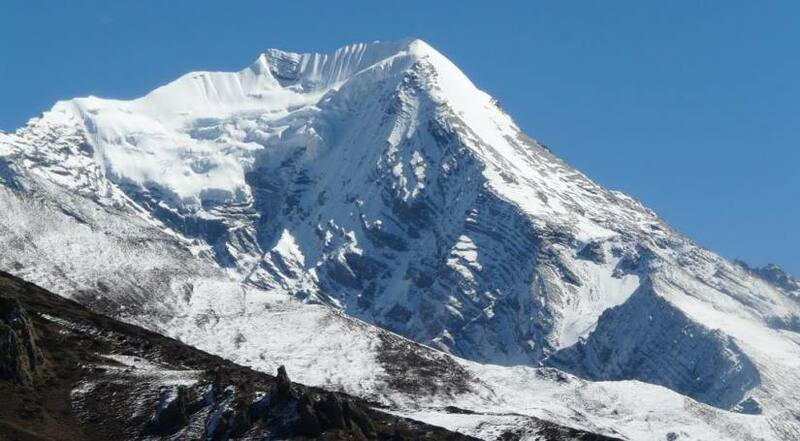 It is considered to be one of the easiest peaks in Nepal in comparison with other peaks. It is on the way to the famous pass of the world, lies at the opposite of Annapurna II, above the Marshyandi valley and offers you the good scope for exploration. This interesting trekking trail usually begins from Besishahar and leads up through the thick forest that is rich in flora and fauna to the majestic peak of Mt. Manaslu and Lamjung himal. The trail passes through the Manang valley, which is rich in its unique culture and landscape that stretches to the Annapurna and Damodar peaks and finally to the Pisang peak. After making the round up to the area, the trails descends down through the famous temple called Muktinath and then to the Jomson and finally to Pokhara then to Kathmandu.